A new day, a new adventure! 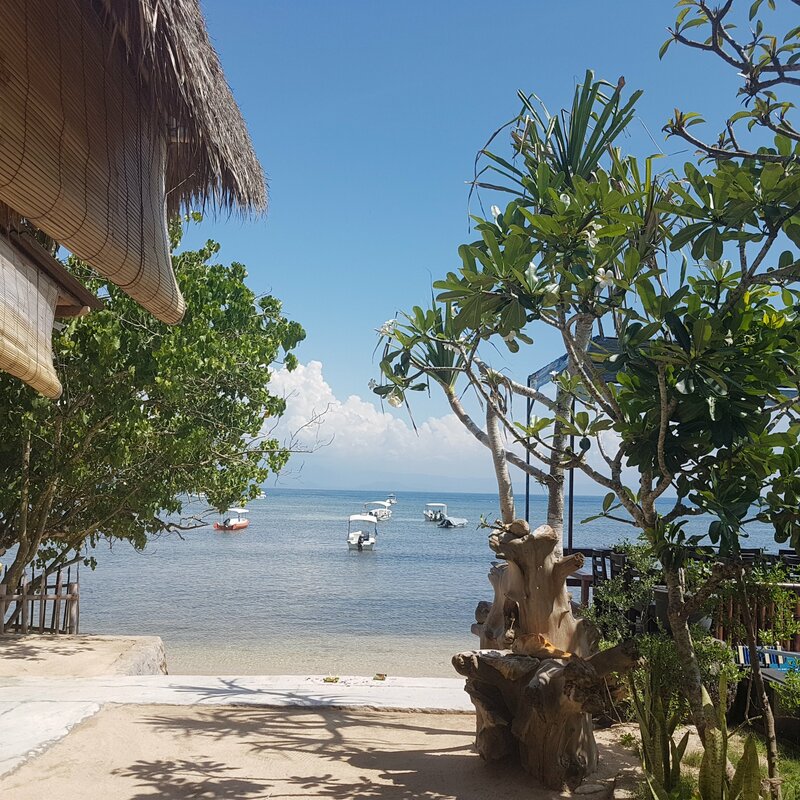 Todays post is about my day trip to Lembongan Island. The day started bright and early at 6.30 AM, and because of this it felt like a normal working day waking up that early. Once I survived the screeches of the alarm, I started to get ready for my day. Starting with a lovely refresshing shower and a hearty breakfast. 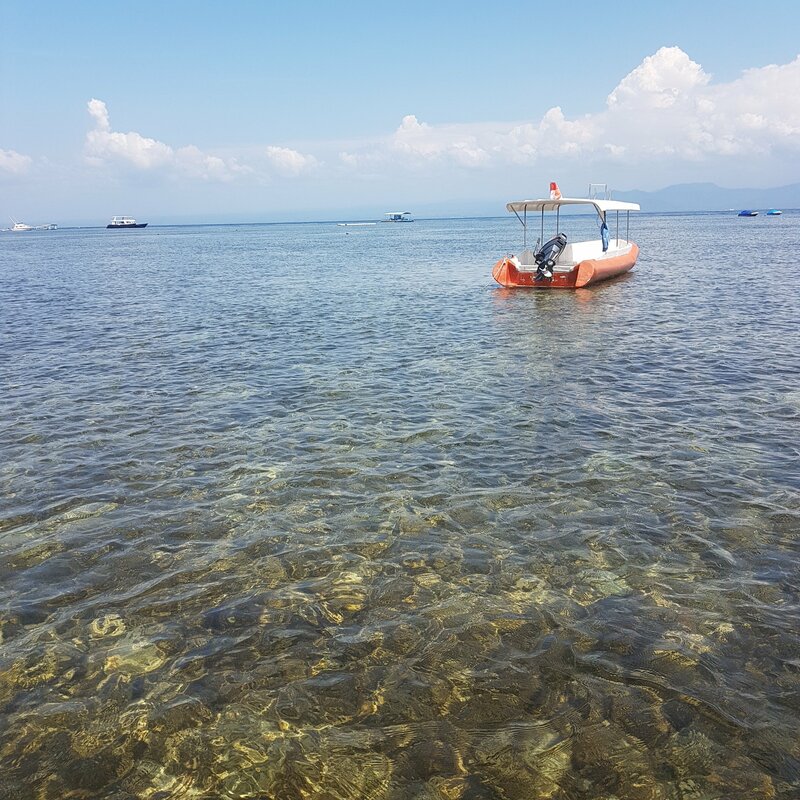 Our pickup was at 8 in the morning and we headed of to the harbour of Sanur. Arriving there we wrote our name on a check in list and waited about a 30 minutes until departure, in a make shift terminal with wooden benches. It really had its charm. 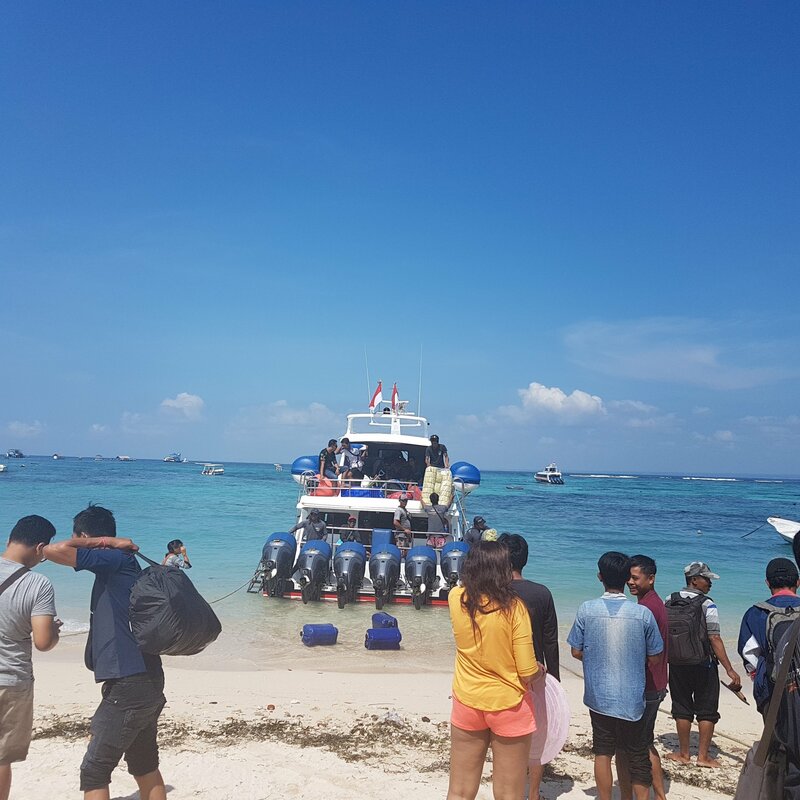 We had had the Fasboat to the island of Lembongan. And boy did this boat go quick! You were really thrown back into your seat once they cast out the 6 engines. A brief 30 minutes later, we arrived to the island. Where we were welcomed by clear white sands and such clear and blue water. You could see the bottom of the ocean and the sea crabs playing on the rocks. At that moment it reallt felt like you were on one of the islands of the gods and it was mind blowing. After departing the boat and landing thigh high in water we met up with our host on the island. This was the brother of the driver who brought us to the harbour of Sanur. To be honest everybody in Bali is a friend or family member. Something which is not very common in the Netherlands. 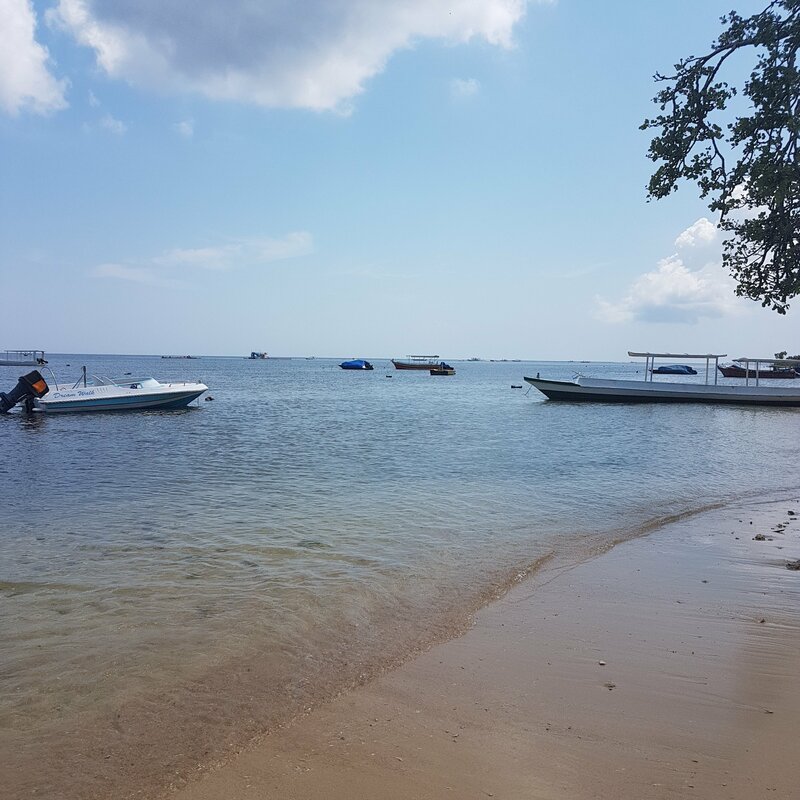 We had an action filled drive to Mangrove Beach, where we booked our snorkeling trip. 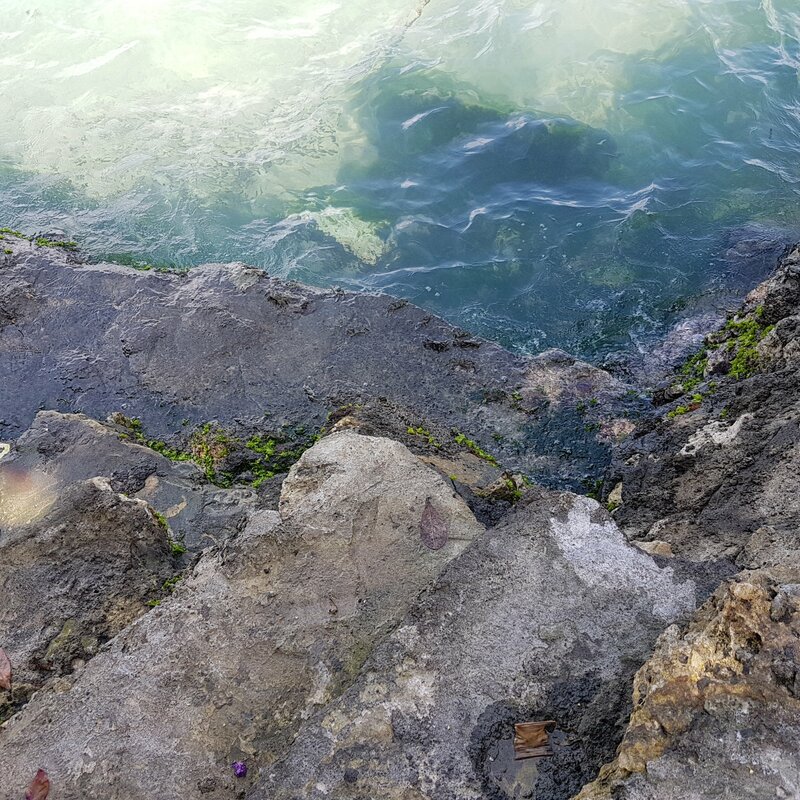 We settled on a trip where we would visit one snorkel location with a lot of coral. In some ways I was not overly impressed with this coral. In Egypt I saw more stunning coral. However it might have been caused by the lighting. Plus I heared I missed out on one site which had very nice coral, because I was recovering on board. Eventhough we did not pay for this, our skipper on board was so kind to show us another site where we saw a lot of big and little fish. And yeeh I found Nemo! And in the end more Nemo’s and Dorry’s. I really loved that! Overall this boat trip did not disapoint. You get such a different feeling on Lembongan Island than the island of Bali. The sea is more blue, more sealife the beaches more white and clean. I would def recommend going to the islands than staying on the island of Bali. A tip I would like to give you, if you book a trip not via your agency is do your research before hand. Such as how much certain activities, food and an extra nights stay would cost. So you will not be disapointed in the end by unexpected costs, which might dampen your spirits on holiday. Also always try to bring extra cash with you in case of an emergency. Curious about how I spent another day in Bali, click on the post ” An excursion day in Bali” in the Travel category. As always I hope you enjoyed this post and feel free to leave a comment.